Who's the coolest company in web mapping right now …. Who’s the coolest company in web mapping ??? Unfortunately its not ProjectX, its Stamen Designs from San Francisco. They have become the company in the map visualisation space. Yesterday, they released a new site – Hurricane maps. Add that to their impressive releases for Trulia, Oakland Crimespotting and mySociety. 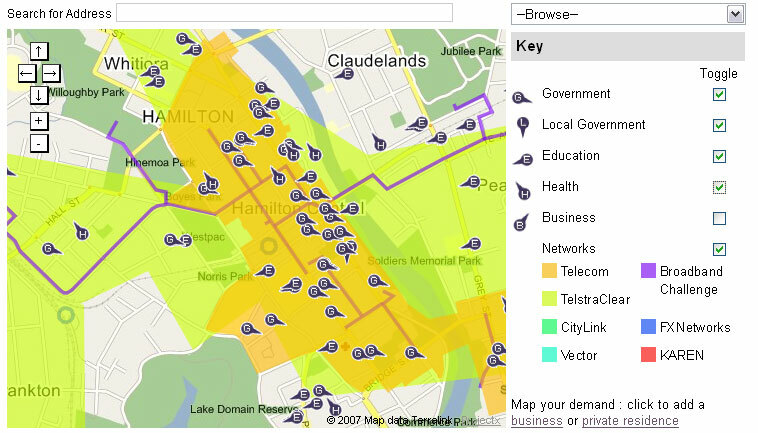 Stamen Designs have set the bar for map visualisation. We’re glad that Stamen designs is in the visualisation space and they’re pushing the envelope. It gives us something to aspire to ! 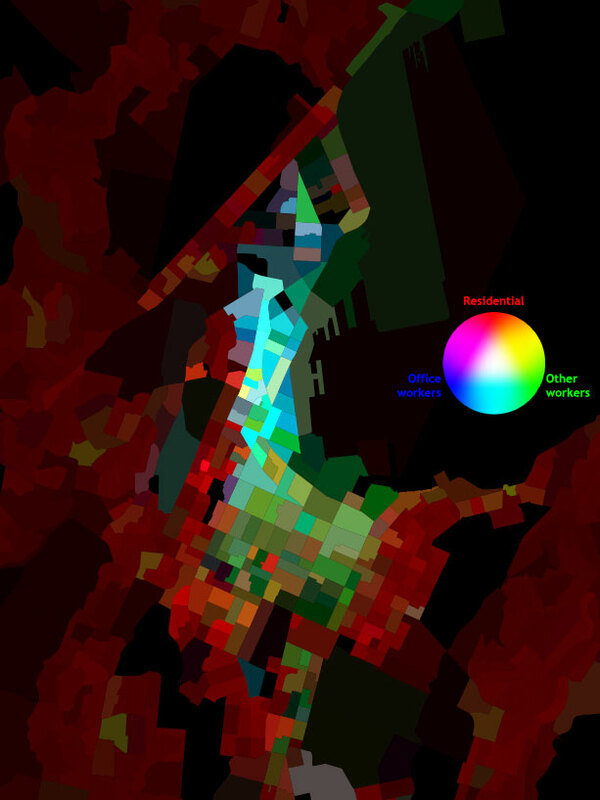 Following up from yesterday’s post about the Open Source Awards, here’s a new local discussion group about the use of open source software in Geographic Information Systems (GIS). As a web mapping company, we make heavy use of open source software in both the web and the mapping sides of our business: I’ll come back to the web side, but here are some quick notes on the open source GIS packages that we use. PostGIS: I won’t make great claims for its performance, but the spatial extensions to PostgreSQL are pretty impressive and getting more powerful all the time. MapServer: this hasn’t been our first choice for map tile rendering in most cases, but now that version 5.0 is out with its gorgeous anti-aliasing (thanks to the AGG library) it’s looking more and more appealing. QuantumGIS: it’s not exactly ESRI or MapInfo, but it’s quite useful as a basic desktop GIS app, and the ability to export to SVG (for further tweaking and polishing in Inkscape, or for XML hacking) is great for publication work. OGR utilities: indispensable! Good old-fashioned simple command-line tools for exploring, converting and generally mucking around with the obscure world of GIS data formats. We like to think that our technology is being used solely for good rather than evil, but there are some applications where it’s hard to tell. Stalking would be a no-no, but celebrity stalking doesn’t seem so bad. That’s the purpose of the Wellingtonista Celeb Vista group on ZoomIn, which is fully explained in this post on the Wellingtonista. Simply put, it’s a group for tracking celebrity sightings, but Wellington being Wellington, the celebs being stalked are somewhat more highbrow than on other celebrity-stalking mashups, hence the inclusion of Peter McLeavey along with Bret McKenzie and Shortland Streeters. At least there are no politicians … yet. IntensCITY week, the celebration of Wellington’s urban spaces, is just about to kick off. A key part of the week is the INSite exhibition, which consists of eight shipping containers distributed around the city as artists’ spaces and installations. Here’s a ZoomIn group to show their locations (or you can go directly to the group map on ZoomIn). As these are ZoomIn places, you can of course add your own photos and comments and edit the descriptions. I’ve kicked that process off, but if you manage to get some good photos or have some responses you want to share, please go ahead and do so. While I may be a fan of the “intuitive” and “idiosyncratic” nature of neogeography, we all recognise the importance of getting the core geographic information right. 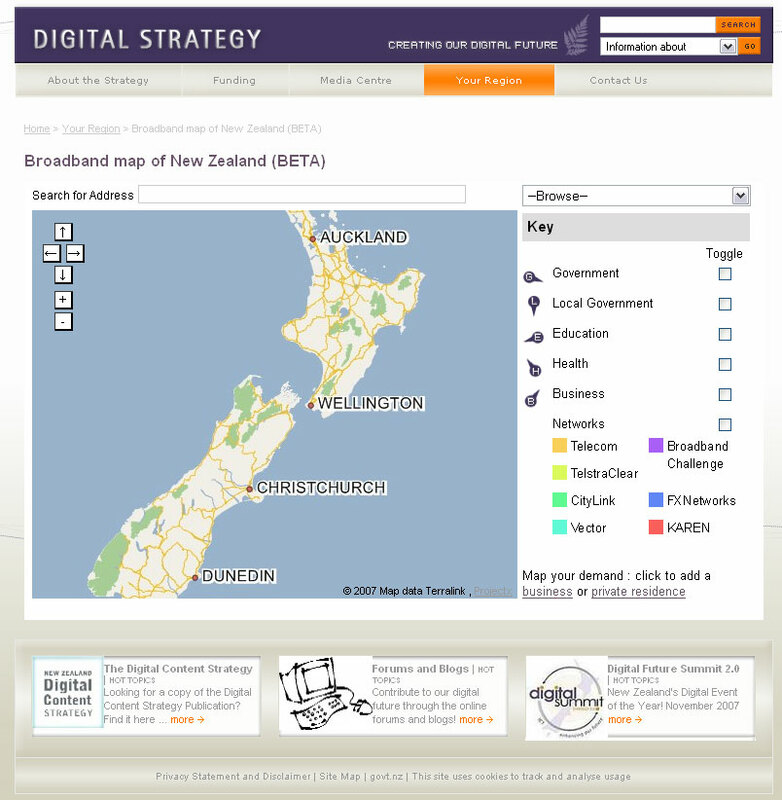 We’re about to start a comprehensive update of all our mapping tiles, and while we were able to get out a relatively quick fix for the Wellington bypass, it will take a bit of effort to do it properly for the whole country. While we pay good money for our base data, it’s a fact of life that nothing’s perfect, and the physical world sometimes moves too fast for surveyors, councils and data providers to keep up with. We already have a list of updates and corrections that we’ll probably have to make manually, and we’ve had useful reports from ZoomIn users that we’ve added to the list. But we want to ask you, our blog readers, whether you’ve noticed any errors, out-of-date areas or places that could do with a tweak. Along with that, I’d like to know if there are any improvements we could make to the appearance of our maps. As just one example, as a supporter of pedestrian-friendly cities it has always seemed odd to me that pedestrian streets like Cuba Mall have the same symbology as dirt tracks through the bush. There’s a field in the raw data that distinguishes “malls” from walkways, and if I get the chance I’d like to represent the difference visually. Are there any visual quirks or infelicities that you’d like us to take a look at? We can’t guarantee that we’ll get every suggestion into the upcoming map release, but we’re keen to get your feedback on what would make our maps the best they can be.